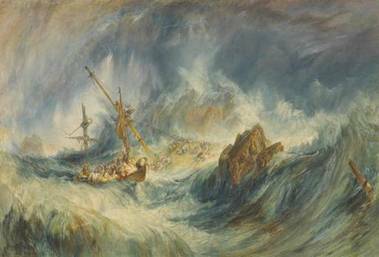 During the lifetime of JMW Turner, the Windus collection was one of the largest and most distinguished of its kind and recognised as the best place in London to see Turner's work . It is at Mr. Windus’s on Tottenham-green that Turner is on his throne. There he may be studied, understood, and admired – not in half-a-dozen or twenty instances, but in scores upon scores of choice examples. ‘… a cheerful little villa, with low rooms on the ground floor opening pleasantly into each other, like a sort of grouped conservatory, between his front and back gardens: their walls beset, but not crowded, with Turner drawings of the England series; while in his portfolio-stands, coming there straight from the publishers of the books they illustrated, were the entire series of the illustrations to Scott, to Byron, to the South Coast, and to Finden’s Bible’. The source of the money which enabled BG Windus to collect the paintings of one of the foremost painters in England. Friends and neighbours including the philanthropist and author, Priscilla Wakefield; Luke Howard, the Namer of Clouds and the builder of the Martello towers, William Hobson.